Most of us have heard about the mark of the beast, and have been expecting some worldwide power to cause everyone to receive a mark in their right hand or in their foreheads. Recently we read the astonishing news of a new law, called the Intelligence Reform Bill, signed into law by President Bush on December 17, 2004, and a new bill, called the Real ID Act (it has passed the House, and is currently on its way to the Senate). In light of this new legislation, many are fearing that the time for end-time Bible prophecy to be fulfilled is nearer than we had thought. Indeed, many of the Bible’s end-time prophecies are being fulfilled right before our eyes. Could a new nationally and internationally standardized biometric identification system be a tool used to enforce the mark of the beast? Let’s look at a few points in the new legislation. The use of passports embedded with biometric identification technology to track people was summarized in a recent CNN article. A controversy is brewing over a U.S. State Department decision to put identification chips [Radio Frequency Identification—RFID] inside all new passport covers, a program scheduled to start by late 2005.… The passport chips will hold… from 64 kilobytes to eventually 514 kilobytes, as much as the first personal computers. They will hold the same information as a paper passport plus a digitized photo and face template for the still-unproven facial recognition software, which also is supposed to identify you from a distance, unnoticed. The passports contain two notable features. First, they contain a biometric, specifically, face recognition. Face recognition is not only among the least reliable biometrics currently available, but unlike others such as fingerprints, it is one that can be used from a distance to track individuals without their knowledge or consent. Second, the passports will contain RFID (Radio Frequency Identification) tags. RFID tags are tiny computer chips that, when they receive a radio signal from an RFID reader, use the energy of that signal to broadcast the data that they store. This technology is rapidly becoming familiar to Americans through such applications as toll-booth speed passes, building entry key cards, and other contactless applications. The data stored in these radio chips will include all the printed information that is on a U.S. passport, including: 1) name 2) date of birth 3) place of birth (a key to identity theft) 4) a digital photograph and a digital face recognition template. This may not be a concern to many of the people living in the United States who do not travel internationally, and therefore do not need a passport. However, this international standard of using RFID chips and biometric data for identification is in the process of becoming a requirement for state issued driver’s licenses and ID cards. Some states already require biometric identification for obtaining driver’s licenses. The New York Times published an article detailing some major concerns with the RFID system. There is a strong push by the federal government to require states to include this biometric ID system in their driver’s licenses. This bill has passed the House and is currently headed for the Senate. The bill does not require states to update their driver’s licenses, but they do use some strong incentives to make it happen. These implanted chips can be used as tracking devices as well as a means to purchase goods and services. Already most grocery stores have incorporated some sort of discount shopping card system. The discounts on sale items that used to be available to all are now only available to the holders of special cards. Some grocery stores are making it easier on their customers by allowing them to use their fingerprints as combination credit cards and discount cards. What used to be avoided, is common place today. The trend is going toward further invasion of privacy. Facial recognition biometrics, as used in the new passports, has already gained a foothold in grocery stores. With the advent of all these high-tech surveillance and tracking systems, it is easy to see how a world power, such as the one mentioned in Revelation 13, could enforce its agenda to prohibit certain people from buying or selling. The Bible uses some of the strongest language to warn us against receiving the mark of the beast. (See Revelation 14:9-11.) Yet, many people are unclear regarding what the mark of the beast really is. It is very hard to avoid receiving the mark of the beast if we do not know what it is. Some people have thought it was the Social Security Numbers issued to all citizens starting in 1937. Others think it is a tattoo of 666 on a person’s right hand or his forehead. 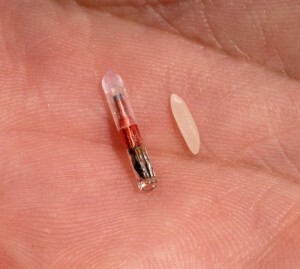 In this computer age, many people think that it is a microchip (possibly an RFID chip) placed under the skin. The list goes on and on. With all these varied ideas about the mark of the beast, how can we know for sure what the mark of the beast is, and how to avoid it? There can be little doubt that God gave John a vision of the same beast that He showed to Daniel. The identity of this beast is clearly revealed in the book of Daniel. The angel that spoke with Daniel said, “The fourth beast shall be the fourth kingdom upon earth.” (Daniel 7:23) Beasts in Bible prophecy symbolize kingdoms or world powers. Even though this fourth kingdom is not mentioned by name, the preceding three kingdoms are, which makes it very easy to know the kingdom represented by the fourth beast. Daniel chapters 2, 7, 8, and 11 are parallel prophecies of kingdoms that ruled the world, with chapters 8 and 11 excluding Babylon since its rule was either at an end or nearing its end. In Daniel chapter two, the first kingdom is clearly identified as Babylon. (Verse 38) In chapter 8, the second and third kingdoms are mentioned by name—Media-Persia (Verse 20) and Greece (Verse 21). A brief study of history reveals that Rome overthrew Greece to rule the world. There can be little doubt that Rome is symbolized by the fourth beast of Daniel seven. Nearly all Bible commentators agree with this assessment. The prophecies of Daniel leave Rome as the final world power, existing all the way until Christ comes to take His kingdom. When we come to the book of Revelation we find the Roman kingdom still exercising its power, but another beast is mentioned that cooperates with the Roman kingdom to dominate the world. Right after John saw the Roman beast, he says, “And I beheld another beast coming up out of the earth; and he had two horns like a lamb, and he spake as a dragon.” (Revelation 13:11) All of the other beasts of Daniel 7, as well as the first beast of Revelation 13 came up out of the sea, but this one comes up out of the earth. An angel told John, “The waters which thou sawest, where the whore sitteth, are peoples, and multitudes, and nations, and tongues.” (Revelation 17:15) The sea from which the other beasts arose represent many nations and people. The second beast of Revelation 13 comes up out of the earth, meaning that it arises in part of the world that has relatively few inhabitants or nations. It arises near the close of papal dominance, near the end of the 42 prophetic months or 1260 years, which ended in 1798. Note: It was prophesied that when papal Rome came to power it would root up three kingdoms. (Daniel 7:8) The last of these was the Ostrogoths who were defeated in 538 AD. After dominating the world throughout the Dark Ages, in 1798, exactly 1260 years later, the French General Berthier took the pope prisoner, ending worldwide papal dominance. Just as prophesied, a world power that fits John’s description was beginning to rise at this time. The United States of America gained its independence in 1776, and began as a lamb, striving for peace and safety. The American Constitution is still one of the greatest in the world. But, the prophecy continues… “he spake as a dragon.” Can you see it, friends? The United States has already begun speaking as a dragon. It has become the bully of the world. Yet, there is more to come. Let’s continue reading in Revelation 13. “And he doeth great wonders, so that he maketh fire come down from heaven on the earth in the sight of men, And deceiveth them that dwell on the earth by the means of those miracles which he had power to do in the sight of the beast; saying to them that dwell on the earth, that they should make an image to the beast, which had the wound by a sword, and did live.” (Revelation 13:13, 14) We can expect to see many miracles performed, but they will be used to deceive people into making an image to the first beast. An image is a likeness of the original. The most notable and damning characteristic of the first beast was the union of church and state. The pope was the head of the church, but he was also the head of the state. Essentially the church ruled the state, and we have to but look at the history of the Dark Ages for the frightening results of this unholy union. About 2 million people were tortured and killed during pagan Rome’s rule, but that number was multiplied to 50-150 million during papal Rome’s rule. According to the Bible we can expect the United States to duplicate this unholy union of church and state. The beast, whose mark we are to avoid, is the first beast, or the Roman Catholic institution, called the papacy. The United States will be instrumental in causing the people of the world to receive the mark of the beast. Notice that the whole issue of the mark of the beast is about worship. The United States will cause people on the earth to worship the beast (verse 12), and to worship the image of the beast (verse 15). There is a very important fact to learn from this. Please don’t miss it. The implementation of the mark of the beast will revolve around worship. Nobody will receive the mark of the beast unless they “worship the beast.” (verse 12) It is a sin to worship anything or anyone other than God. 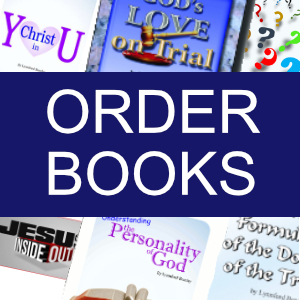 Jesus said, “It is written, Thou shalt worship the Lord thy God, and him only shalt thou serve.” (Luke 4:8) The first commandment states, “Thou shalt have no other gods before me.” (Exodus 20:3) Those who obey the United States when they urge the whole world to worship the beast will be breaking God’s commandments. 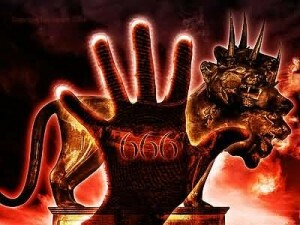 Nobody will receive the mark of the beast unless they worship the beast or his image. Worship will be the key issue. The Pope has been given the title, “Vicar of the Son of God.” In the Latin (which is the official language of the Roman Catholic Church), this is written as, “VICARIUS FILII DEI.” Most of us learned in school that letters are used to represent numbers, in “Roman Numerals.” When we evaluate the title of the Pope, using Roman numerals, we come up with the exact number 666, as demonstrated in the following figure. God warned us, “If any man worship the beast and his image, and receive his mark in his forehead, or in his hand, The same shall drink of the wine of the wrath of God, which is poured out without mixture into the cup of his indignation; and he shall be tormented with fire and brimstone in the presence of the holy angels, and in the presence of the Lamb.” (Revelation 14:9, 10) This is a serious warning. For God to punish those who receive the mark of the beast, it has to involve breaking one of God’s commandments. Think about this. If receiving the mark of the beast only involved a man receiving a tattoo, or a microchip under the skin, that alone could not be enough reason for God to cast him into the lake of fire. There has to be something more to it than that, because a person could be pinned down and forced to receive a tattoo or a microchip. God would not cast a person into the lake of fire for having this done to him. There is something more that must not be overlooked and, according to the Bible, it involves worship and the breaking of at least one of God’s commandments. Let’s take a moment to examine God’s Ten Commandments. The first four deal with our relationship and worship of God, while the last six deal with our relationship toward other people. The mark of the beast, then, must involve breaking one of the first four commandments, which are summarized as follows: 1) Thou shalt have no other gods before me. 2) Thou shalt not bow down to graven images. 3) Thou shalt not take the name of God in vain. 4) Remember the Sabbath day to keep it holy. (Exodus 20:3-11) If you obey all of these commandments, you will not, and cannot, receive the mark of the beast. Even if someone pinned you down and forced you to receive a microchip under your skin, if you have not broken any of these commandments, you have not received the mark of the beast. I pray that you realize this important point. Look again at the four commandments listed above, and ask yourself, which of these would the United States most likely compel people to break. It has to be one of them, for these are the only ones that deal with worship. Many years ago the king of Babylon set up a great image in the plain of Dura, and commanded all his subjects gathered there to bow down and worship the image or else they would be thrown into a fiery furnace. (Daniel 3:1-11) The king was compelling people to break the second commandment. Three faithful followers of God refused to bow down, and they were thrown into the fiery furnace. (Daniel 3:12-23) The Son of God came down and performed a miracle to keep the fire from harming them. (Daniel 3:24-27) By this God demonstrated that the state has no right whatsoever to require its subjects to worship. This is something that belongs only to God. Jesus said, “Render to Caesar the things that are Caesar’s, and to God the things that are God’s.” (Mark 12:17) There is a clear distinction between what we owe to God and what we owe to our fellow man. It is a sin to render to man those things which belong solely to God, specifically our worship. Likewise it is a sin for man to require worship from man. God demonstrated this fact for all time when He saved His three faithful servants out of the fiery furnace. God again demonstrated this fact when He saved Daniel out of the lions’ den. In this case the king passed a law that no man could ask a petition of anyone but the king for thirty days, or he would be cast into a den of lions. (Read Daniel chapter 6.) The king was requiring people to break the first commandment by putting himself above God. Daniel was caught praying to God and he was cast into the lions’ den. God overruled by sending His angel to shut the mouth of the lions. Here we have two examples of earthly governments passing laws related to worship. One violated the second commandment, the other violated the first. In both cases God demonstrated that His people are innocent if they disobey a law of the land related to worship. Do you think the United States would set up a literal image and command all the people of the world to bow down and worship it? Not likely! This would not go over well in a predominately Christian nation like the US. For the government to be successful in getting people to violate one of God’s commandments they need to get the people behind them. They need to make it appear as if what they are asking is a good thing. Do you think the US would ask people to worship the president as God? Again, this is unlikely. However, they may ask people to worship a false god, which is generally thought, by Christians, to be the genuine, such as the Trinity. But doing this openly would find much resistance among Jews and Muslims, as well as some Christians, and it would be difficult to implement because what a person believes about God’s identity is hard for other people to see. Do you think they would ask people to take God’s name in vain? Certainly not! This only leaves one commandment, the fourth commandment, which deals with the Sabbath. This, logically, is the easiest and most likely of the commandments for the US to cause all the people in the world to violate, as we will see in a moment. Remember, to receive the mark of the beast you must violate one of the first four commandments. This is the only way it would deal with worship, and be a sin. In the book of Revelation we are given a warning against receiving the mark of the beast (14:9-11), and in connection with this warning we are given three specific instructions to help us avoid receiving the mark. We are told, “Fear God, and give glory to him; for the hour of his judgment is come: and worship him that made heaven, and earth, and the sea, and the fountains of waters.” (Revelation 14:7) In explaining how to avoid receiving the mark of the beast we are told to worship Him who made heaven and earth. Again we can see the emphasis is on worship, and a portion of the fourth commandment is quoted here, giving us a clue that the mark of the beast has something to do with the fourth commandment. Many financial transactions today are done without the use of physical money. More and more people are using plastic cards to make purchases, or they write checks. It is an oddity to see people in a grocery store using cash to make purchases. Some stores and businesses will not even accept cash. Just try to buy a brand new car with cash, and see what happens. We are heading toward a cashless society. We have heard stories of people’s credit cards being revoked, and their bank accounts frozen. To many people this would be devastating, especially if we had a totally cashless society. If all transactions were done by computers, a person’s ability to buy and sell could be taken away very easily. If RFID chips, or biometric identification, are used in place of cash, it would be very difficult for someone to buy or sell unless they fit in with the program. Those controlling the computers would have the ability to prohibit certain people from buying or selling. It would be very easy for the US to use the Sabbath commandment as a means to cause people to worship the beast and receive its mark. For example, the US could require a person’s ID, that enables them to buy and sell, to be renewed each week by participating in a work program on Sabbath, or some other activity that violates the Sabbath. Yet, how could they openly require people to violate the Sabbath commandment in a world where many people are “Christians,” and the beast itself is a “Christian” power. The answer is simple when we realize that the majority of Christianity violates the Sabbath commandment every weak without thinking anything of it. Satan knew about the mark of the beast many years ago, and he has been planning his attack for a long time. He has succeeded in convincing most of the world that Sunday, the first day of the week, is the Christian Sabbath because Christ was raised from the dead on that day, even though there is not a single Bible text that tells us that the Sabbath was changed from the seventh day of the week to the first. This Sunday law was strictly and completely a religious law, and could only be a religious law. Even though this Sunday law was enacted by a pagan emperor to benefit pagan sun worshipers, Sunday observance as a religious holiday was adopted by many Christians. There can be no doubt that Sunday observance is a mark of the beast, a mark of the authority of the Roman Catholic papacy, and it is easy to see how Sunday legislation could be used to enforce the mark of the beast. The papacy instituted Sunday observance in honor of the god they worship. The Catholic Church claims, “[Sunday] is a day dedicated by the Apostles to the honor of the most holy Trinity,…” (Douay Catechism, page 143) Those who pay homage to the papacy by keeping Sunday are doing so “in honor of the most holy Trinity.” (Ibid.) Observance of a holy day is a manner in which people worship God—it is the how of worship, not the who. Sunday observance was instituted by the Roman Catholic Church in honor of their god, the Trinity. The Trinity is who is worshiped through Sunday observance. Just as prophesied in the Bible, when the papacy came to power, the “God of [their] fathers” was disregarded, and a “strange god” emerged whom their “fathers knew not.” This prophecy was fulfilled to the letter when Satan inspired the papacy to invent and adopt the Trinity doctrine in the fourth century. Notice what God says about those who worship strange gods. “They provoked him to jealousy with strange gods, with abominations provoked they him to anger. They sacrificed unto devils, not to God; to gods whom they knew not, to new gods that came newly up, whom your fathers feared not.” (Deuteronomy 32:16, 17) When people worship the strange god of the papacy, Satan gets what he so desperately desires—worship. So we can see that the institution of the mark of the beast is a vehicle that enables Satan to receive worship. This he does by forcing people to honor a false day of worship, bringing honor to a false god (the Trinity). The mark of the beast crisis will revolve around worship and the government legislation of worship. It is certain that the governments of this world will pass a universal law regarding worship. They will most likely follow the example of Constantine and enforce religious observance of Sunday. Please do not get me wrong, those who have ignorantly, or even knowingly, kept the first day of the week instead of the Sabbath have not yet received the mark of the beast. The mark of the beast will be mandated by the government. Until that happens, nobody could receive the mark of the beast. Let me make something very clear. The mark of the beast is not a physical tattoo or RFID tag or any other microchip. Microchips may be used to keep people from buying and selling, but they, themselves, are not the mark of the beast. Today, there are hundreds of people who have already, willingly allowed microchips to be implanted under their skin. These people have not received the mark of the beast. It is not a sin to have a microchip in your identification card or even placed under your skin. That alone can not possibly be the mark of the beast because it does not involve worship, nor the breaking of God’s commandments. For anyone to receive the mark of the beast they must worship contrary to God’s law, and violate one of God’s commandments regarding worship.